What is a Floor Sander? A floor sander can smooth bumps and other imperfections from a floor. 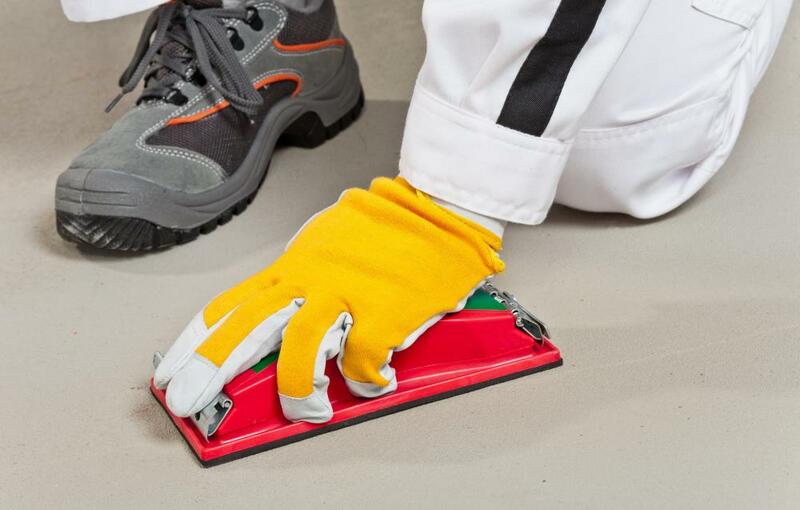 An orbital sander can be used as a finishing sander, as it works much like a floor polisher. Concrete floors can be sanded in much the same way wood floors can. A floor sander is a tool that is used on a wood floor to level out the surface, removing scuffs and bumps. The sander essentially removes a very thin layer of the floor to reveal the undamaged wood underneath it. These tools come in many different types, both electric and manual. The largest types of electric floor sanders are the drum sander and the vibrating sander. The drum sander is designed for heavy duty jobs and can remove deep cracks, craters, and stains. It can also remove several inches of wood in little time, so it is not recommended for use on thin wooden boards. 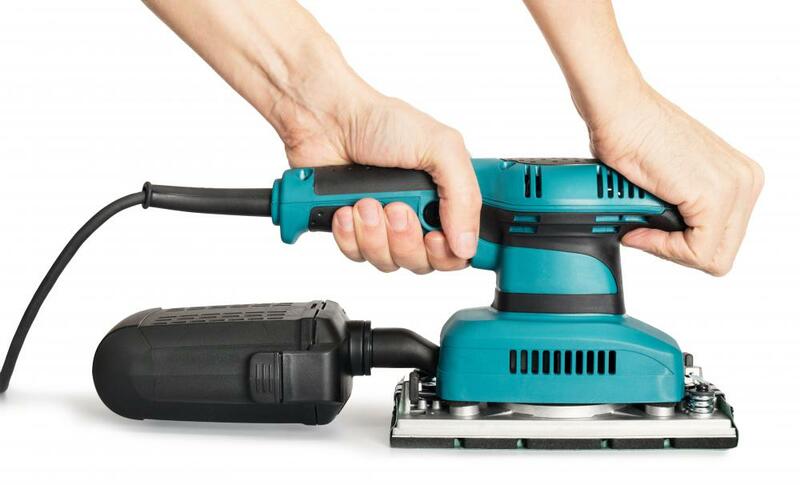 The vibrating sander is similar in size, but is used for less in-depth work. The drum sander is usually too heavy for most people to lift alone, while the vibrating sander is more lightweight. Both sanders usually have a dust bag on one side, to help keep the potentially great mess of sawdust contained. They also have large pieces of sandpaper attached to their base. The best place to find either is at a rental facility. Once someone is finished working with a large sander, he or she often moves on to mid-size electric sanders. The most common of these is the orbital floor sander. The orbital sander gets its name because, instead of sheets of sandpaper, it uses round sanding disks. As the machine rotates these discs, it works very much like a floor polisher, buffing away at the paper thin top layer of the wood. This type of floor sander is found in most hardware stores. The edge electric floor sander usually comes last. It’s used for areas that cannot be sanded with a large or mid-sized sander, usually because those tools are too large to reach all areas. It’s a good choice for sanding wood that abuts walls or sits in tight spaces. It rotates discs, like the orbital floor sander, to polish the wood, but has the hardiness of the drum and vibrating sanders. Often a person using an electric floor sander will fine-tune a sanding job by going over trouble spots with a hand sander or pole sander. Both of these manual sanders require the user to push down and forward in the direction of the grain of the wood to get results. The hand sander simply has a handle on the top. The pole sander allows the user to insert a pole and push the sander, much like he or she would a sponge mop, making it good for tight areas. What is an Air Sander? What Should I Consider When Buying Sander Parts? @Feryll - When someone asks me about how difficult is it to use a floor sander I always think of this TV comedy I saw where the guy rents a sander and proceeds to bore a hole through the floor when he leaves the machine in the same spot for too long. If this were to happen to you it wouldn't be so funny. The TV show is an exaggeration, but a floor drum sander is a heavy duty piece of equipment and unless you know what you are doing I would say definitely go with one of the smaller floor sander machines mentioned in the article. suggest you get a professional to do the job or find a friend who has experience with a sander and let him show you the ropes. Otherwise, you might not destroy the floors, but you could do some serious damage to the floor. My girlfriend recently bought an old house and I am helping her fix it up. I am by no means a home repair expert. I have helped people do a few jobs here and there. Fortunately, we can figure out the basics for most home repairs by going online and doing some reading. This has worked well so far. Now we are at the point where we are considering doing something to the old wood floors in the house. The floors in some rooms are better than others. Parts of the house were added 20 or 30 years after the original parts, so the floors in those later rooms are in better condition than the original ones. of the floors are in decent condition. None of them are worn so badly or rotted so that we are afraid of falling through. Basically we just want them to look good--shine a little. I have been told that I need to get a floor sander to restore the floors properly, but after reading this article, I wonder just how difficult a wood floor sander is to use. I don't want to cause any real damage to the wood when we are simply trying to make them look better.